The Team at TAG Builders is dedicated to creating a positive building experience for buyers. Over a career that spans more than 30 years, TAG Builders President, Tom Galbally, has learned the importance of integrity – in construction quality and in his company’s relationships with customers. Today, the TAG team remains committed to helping buyers feel comfortable throughout the building process, and assuring their continued satisfaction for many years to come. Through every phase of construction, the TAG sales team provides buyers with personal care and attention. Serving as a single point of contact, TAG professionals assist buyers with their selections, help them understand what to expect in the months ahead, and provide updates as construction progresses. TAG designers and planners also work closely with buyers, helping them see the "big picture" and assuring them that the new home they envision is everything they want it to be. Everyday, TAG Builders strives to create homes of the highest quality. From materials, to construction methods and attention to fit and finish, the team at TAG Builders is committed to excellence in every detail. Tom Galbally’s eye for detail and appreciation for craftsmanship are reflected in each home constructed by TAG Builders. As unique as they are beautiful, TAG homes reflect each buyer’s personal preferences. Whatever a buyer’s goals, TAG professionals will listen to ideas, assist in exploring options, and create designs that bring visions to life. Innovations in building materials have resulted in new products that offer benefits in enhanced durability, performance and aesthetics. TAG Builders offers customers the best of these advanced products. By researching new materials, attending manufacturer seminars, speaking with industry experts, and studying performance data, TAG assures buyers of proven quality. TAG Builders takes great pride in the quality of its construction practices. Just prior to drywall installation, and again before settlement, buyers are invited to walk the home and review every detail. The TAG dedication to building integrity is evident from every angle. Over the years, TAG Builders has created satisfied customers by building trust – among the building team, suppliers, and most importantly, home buyers. TAG Builders has enjoyed long-term relationships with many suppliers and subcontractors. The result is a smoother building process, a team that up holds the TAG commitment to integrity – and a superior end result for customers. 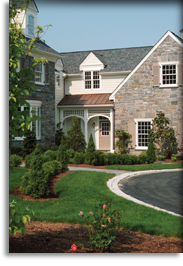 TAG Builders is an established member of both the Main Line Builders Association and the Home Builder’s Association of Chester and Delaware Counties. Tom Galbally was recently honored with the prestigious award for Best Custom Home from the Main Line Builders Association. His involvement in both organizations strengthens relationships with industry resources and provides TAG Builders with access to the most current industry trends and technologies. Project Management and organization are vital to successful home building. TAG Builders excels in these areas. Homes are delivered within expected time frames and built to the highest quality standards. At the completion of each home, TAG presents buyers with a comprehensive book including all warranties, serial numbers, care and maintenance manuals and other important home details. TAG Builders has earned a reputation for honesty, integrity and outstanding customer satisfaction. New home buyers are always welcome to contact TAG home owners for references. For a home that will provide a lifetime of enjoyment, trust the integrity of TAG Builders.